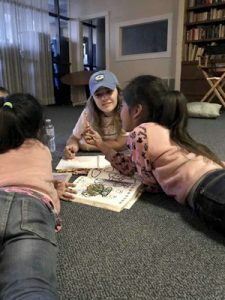 University Ministry Service Immersion Trips help students make a difference for others – Stay connected with CC! Each year Detroit Mercy students spend their winter or spring breaks helping those in need through these trips. Students have worked in Detroit neighborhoods, in underserved communities throughout America and helped poverty-stricken families in Central America and the Caribbean. This year, students will travel to El Paso, Tex., Nazareth Fam in West Virginia, El Salvador and Gros Morne, Haiti, among others. Ministry Service Immersion trips allow students to give back, reflect and work with others to make a difference. Immersion trips take place in April and May, and allow students to work on different types of service and learning programs that help others in need. The cost is dependent upon the location and typically covers transportation, lodging, meals and a donation to the host organization. Trips are led by a student leader and a faculty member, staff or alum of the University. The goal of these trips is to take the students out of the classroom and into places like the neighborhoods of Detroit, the hurricane ravaged streets of New Orleans, El Paso, Texas or the villages of El Salvador. Each year, students travel to new locations to perform critical service projects for the benefit of those communities. For many, it’s a once and lifetime opportunity to give back and to learn more about the global community in which they live and work. 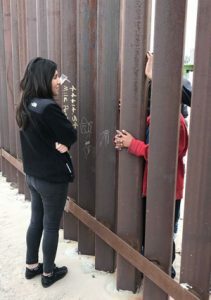 University Ministry’s goals for the service immersion trips are to educate students about the social issues that create and perpetuate systemic injustice, to foster and deepen their faith lives and to introduce them to diverse cultures. 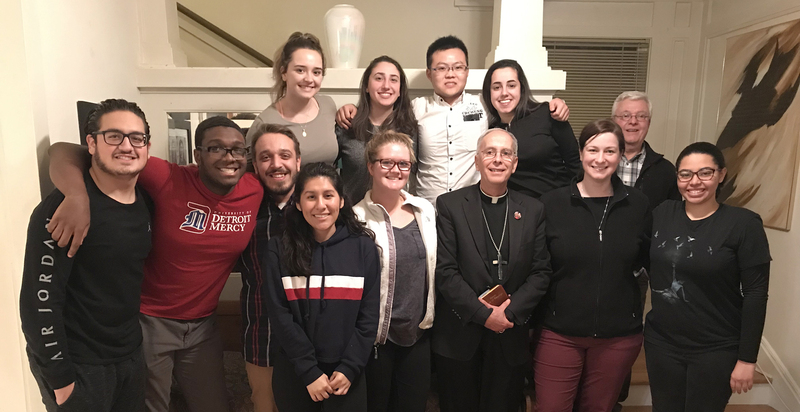 Participating in the trips offer opportunity for students to be contemplatives in action in the Jesuit and Mercy tradition. To learn how you can help support these students, please visit the Service Immersion Trip Impact page and make a donation today. This special project appeal will end on March 31, 2019.